Id like to avoid doing a fork swap because for me that would involve changing out the front end, speedo, speed sensor and brakes and i dont really want to deal with that nightmare so any suggestions of what front fender i can find that can bolt right on with little to no alterations? If i do have to do a fork swap though, id want inverted, id like to still keep a cable driven speed sensor but if i cant have that....what front end should i use that can bolt right in? My only concerns for this really is if the trees will fit i to my cbrs neck tube and what speed sensore will i need. (Going to be getting speigler race bars and a dakota digital fork mounted gauge). Im new to this forum and new to building street fighters so any guidance and suggestions. Would be great. 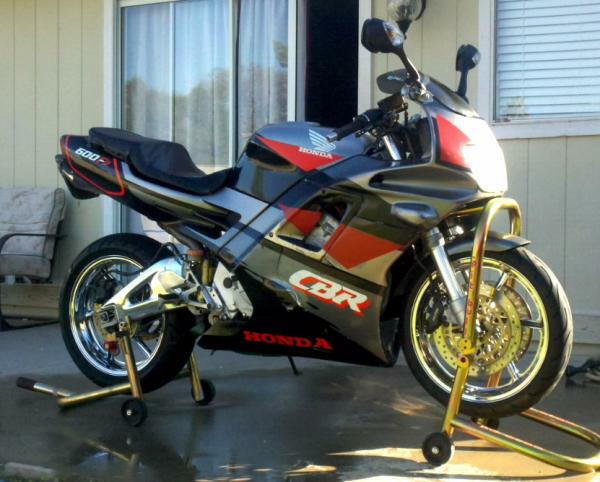 Again my bikes a 93 honda cbr 600 with basically stock everything. Quick Reply: cbr front fender swap?